Bear Camps includes extensive programming in ACADEMICS, ATHLETICS, STEAM and FINE ARTS. There's something for everyone! Our ACADEMIC CAMPS include many unique opportunities for supplemental educational assistance to prepare each student (from rising third to rising seventh-graders) for the upcoming academic year. Each faculty member strives to provide a positive learning experience for every student. Classes are structured to be stimulating, informative and intellectually rewarding. In addition to reading and math, we also offer laptop technology, writing, as well as a summer-reading course for rising fifth through eighth-grade students. OUR OTHER ENRICHMENT, ATHLETIC, STEAM AND FINE ARTS CAMPS are available to all ages and grades. With so many programs, your student can find a variety of great camps to attend! Bear Camps programs are open to everyone – HIES families and non-HIES families. Friends, neighbors, and members of the community are invited to share in the same enriching summer experience that students from 75 different Atlanta-area schools have enjoyed in past years. NEW THIS YEAR are the multiple morning and afternoon options for camps for rising PK5 through fifth-grade students, so that your student has the opportunity to stay on campus from 9 a.m.-3:30 p.m. most weeks! We will watch your students eat lunch (nut-free, please) between their camps so that your student can experience a full day of fun! Let this summer make a difference! 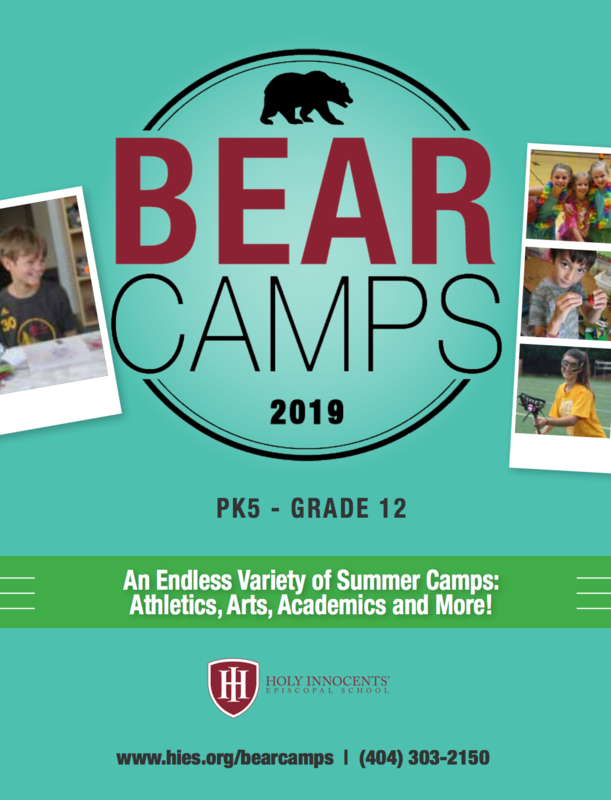 For more information about Bear Camps at HIES, please email summer@hies.org or call us at (404) 303-2150, ext. 331.